Reporting on the go – Pamela Wood. For a little more than a year now, I’ve had an iPhone. I recently upgraded to the iPhone 4. The more I use this “smart” phone, the more I find work uses for it. I imagine that Droids, Blackberrys and other smart phones have similarly impressed their journalist owners. E-mail: Goodness gracious, it’s so fantastic to be able to check both my personal e-mail and my work e-mail on my phone. I have a ton of Google Alerts sent to my personal e-mail account each day. I actually start my mornings by scrolling through my Google Alert e-mail messages, so I can see what my competitors have written in the morning newspapers. 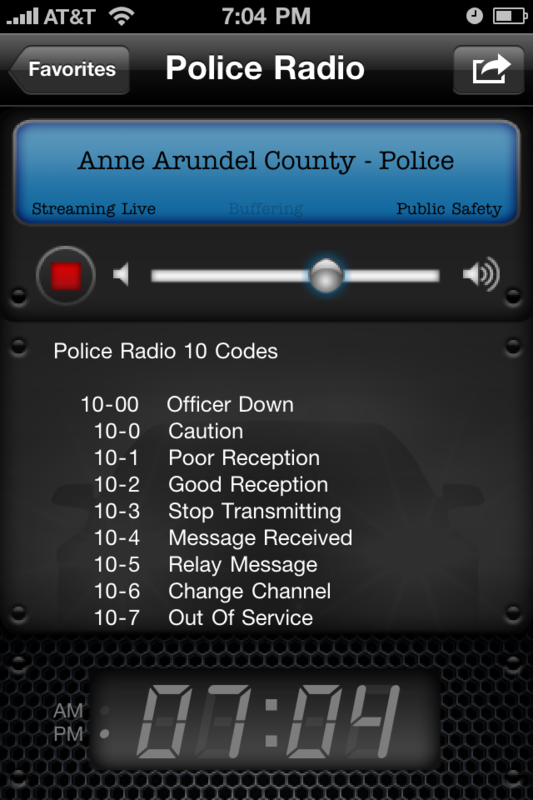 Police Radio is one of my favorite iPhone apps. AP Mobile App: After scrolling through my e-mail messages, my next stop is the AP “app,” or application, on my phone. I have it set up so I can read the entire Maryland-Delaware wire. Mind-blowing. GPS proved to be super-useful a few months ago when I covered an event with the EPA administrator in Arlington, Va. I intended to fill up my gas tank before leaving Annapolis, but, in a rush, I forgot. I was blinking on “E” when I arrived at the event. So afterwards, I set out to find a gas station in an area that I had previously only been to via the Metro. I used the GPS/map function to pinpoint my location and then I searched for “gas.” Voila! I found a gas station a few blocks away. Dragon Dictation: My colleague/competitor Alex Dominguez of the AP turned me on to this app — again, a free app. 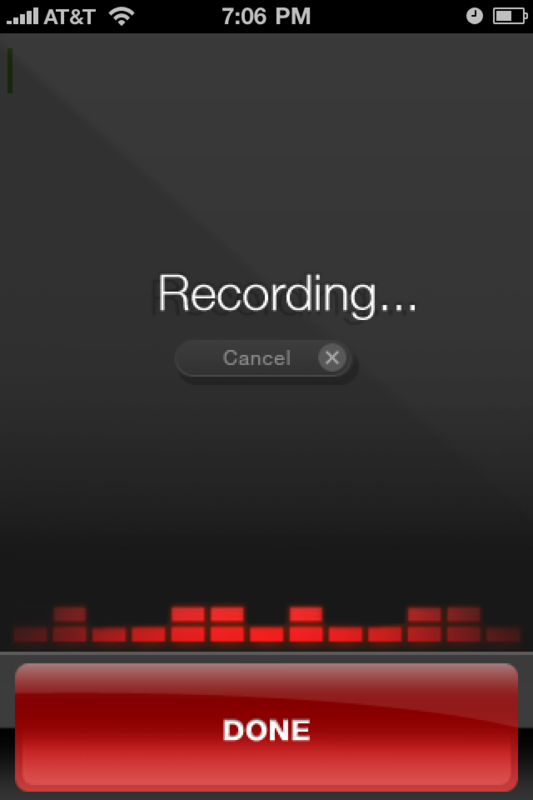 Dragon Dictation is another free app that can be useful to reporters. Through this app, you speak into the phone and it turns your words into text. It’s not perfect, so it allows you to edit the text pretty easily. With a few taps, the text can be sent as an e-mail or text message. Do you have a “smart” phone? How do you use it, for journalism or otherwise? I’d love to hear your stories.